To be honest, red lips work for me all year round. But when it comes to Christmas.... I just can`t go without it. 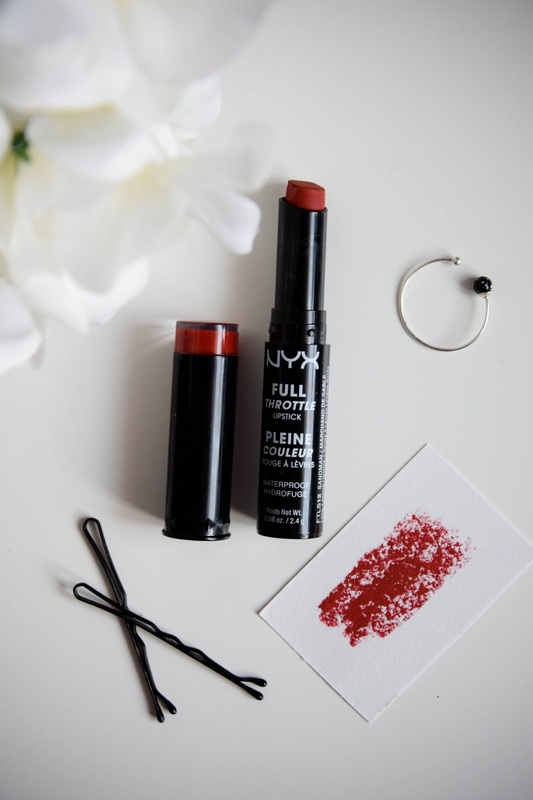 Wearing every day, with a simple, natural makeup makes you feel super festive and adds some color to your look and, of course, it`s perfect for a fun evening out. Simple, yet always in style. Now it has been such a successful period in terms of finding some really really great lipsticks. And this is absolutely one of my favorites. 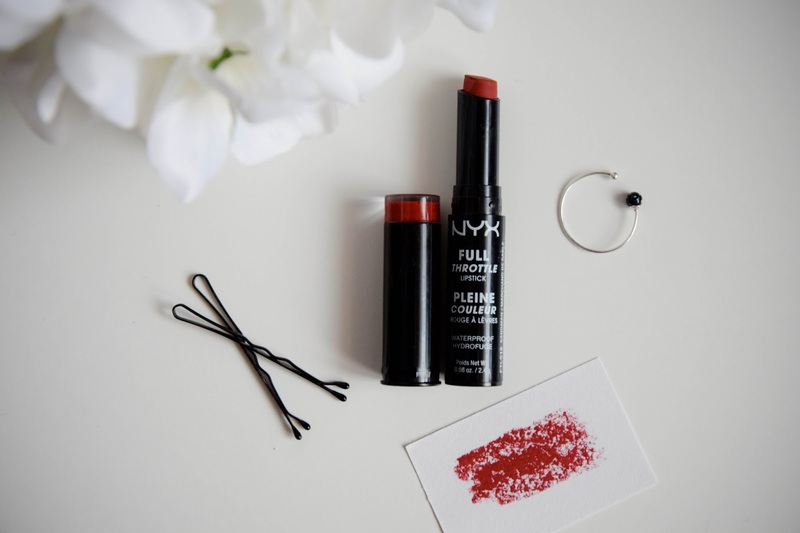 On the whole, NYX makes the most perfect lipsticks and they are my absolute favorites. 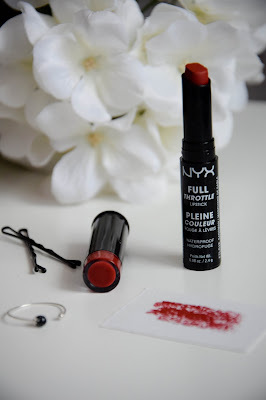 NYX Full Throttle – Sandman (~7€) this is literally the perfect lipstick and the perfect festive red color. Love love love...! 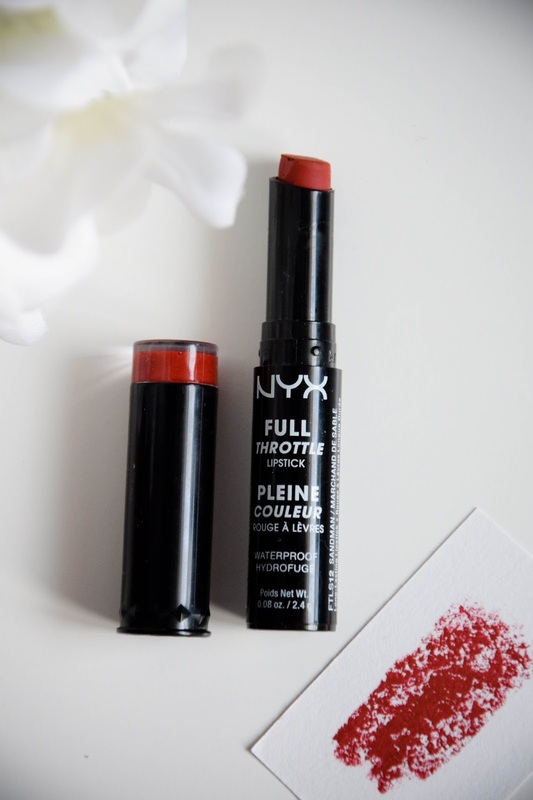 First of all the lipstick goes on very easy, it feels silky and smooth, but it also immediately goes super matt and because it`s very well pigmented you don`t need more than one layer of it. Also, it stays on perfectly for a really long time, basically it may stay on all day and you may only want to correct it a little bit after eating something that may cause it to rub out. And talking about the color.... oh my god. Honestly, it`s the most perfect Christmas red I have ever owned. 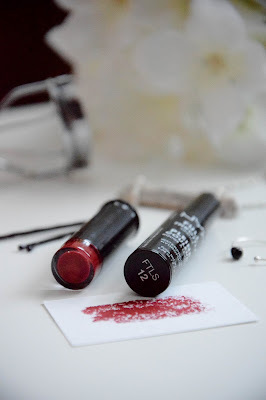 It`s a rich, kind of brick red color and that`s quite hard to find (at least it was for me) as far as a lot of red looking lipsticks may have that kind of berry undertone, which is absolutely fine when we`re talking about any occasion lipstick or about an autumn one, but at the festive season I wanted just a clear, bright red colour. Highly recommend trying it: great, deep color, very long lasting, absolutely affordable.